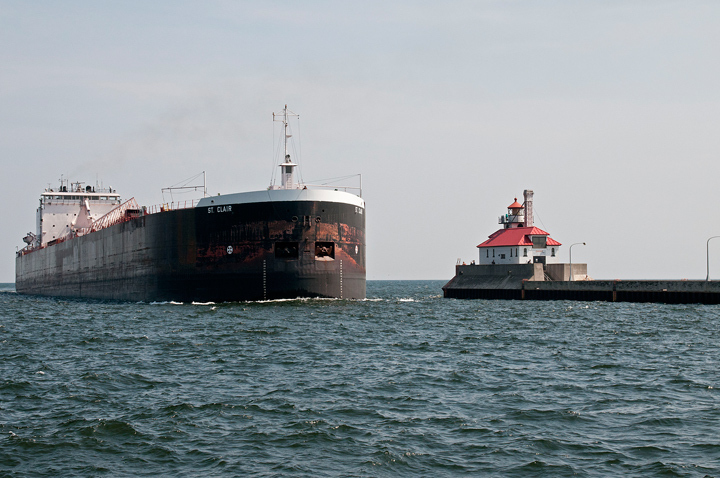 As I mentioned in an earlier blog the 2014 shipping season is about to get underway in Lake Superior. The Coast Guard Cutter Alder has been breaking ice. 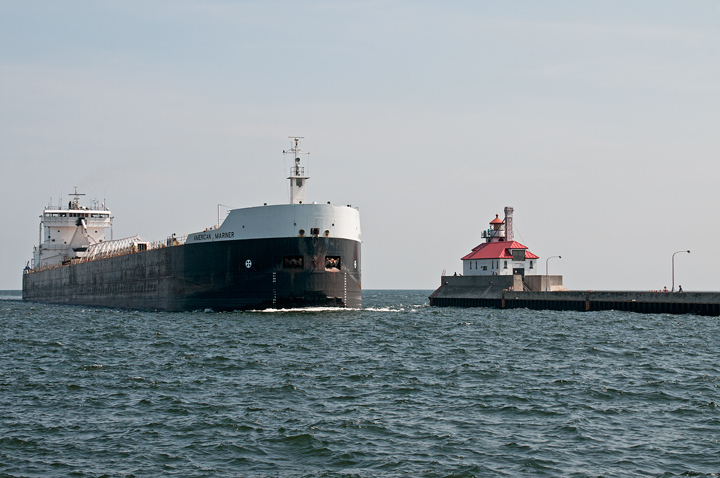 Currently there are 10 Great Lakes ships in the Duluth/Superior Harbor waiting for the shipping season to start. Four ships the Kaye E. Barker, Great Republic, John G. Munson and John J. Borland are at Fraser Shipyards in Superior. The Presque Isle is at Port Terminal for Winter Layup. The American Sprit is at Port Terminal. Current thinking is that with all of the ice on Lake Superior that a Coast Guard Cutter will need to be called out to lead a convoy of ships out into the lake. If that happens it should be really exciting and something to see. We were down at Canal Park this summer when not one but two ships came into the harbor within ten Minutes of each other. This was the first time that we have seen two large ships come into the harbor during one lift of the Aerial Lift Bridge. The first ship in was the American Mariner built in 1980 and is 730 feet long. It was followed by the St. Claire which was built in 1976 and is 770 feet long. Both ships were built in Sturgeon Bay, Wisconsin and fly the U.S. flag. 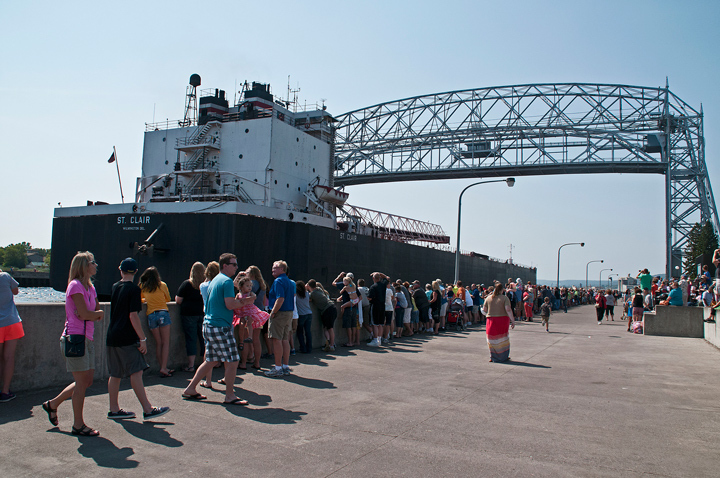 There was a large crowd on hand to greet both ships.